This is the least common of the four types of allergy in cats. Contact dermatitis is the result of the cat coming into contact with a substance. The cat’s fur acts as a barrier, protecting it from allergy-producing compounds. There are two causes of contact dermatitis, allergic and irritant. Irritant dermatitis, the most common type of contact dermatitis, involves inflammation resulting from contact with acids, alkaline materials such as soaps, detergents and bleach, medications, flea collars or topical spot-ons, solvents, or other chemicals. The second most common type of contact dermatitis is caused by exposure to a material to which the cat has become hypersensitive or allergic. It arises some hours after contact with the responsible material, and settles down over some days providing the skin is no longer in contact with it. Plants, wool, washing powder residue and medications are a common cause of allergic dermatitis in cats. The word allergy means ‘altered working’. Just like humans, cats can have allergies too. Allergies are a common cause of skin disease in cats. The purpose of the immune system is to keep infectious microorganisms, such as certain bacteria, viruses, and fungi, out of the body, and to destroy any infectious microorganisms that do invade the body. However, sometimes the immune system mistakes something harmless (pollen, food etc) as an intruder and launches an attack against it, causing an allergic reaction. When this occurs, the cause of the allergy is known as an allergen. 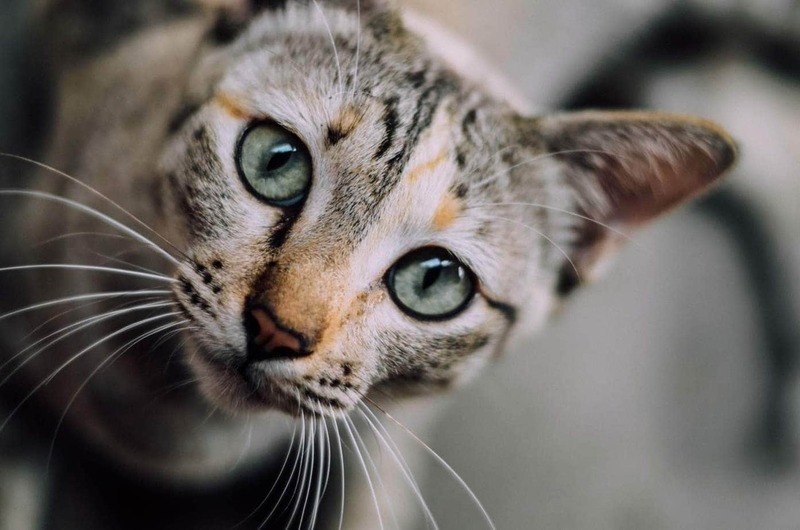 In cats, there are four types of allergies; insect (most often caused by fleas, but occasionally mosquito bites can cause an allergic reaction), food, contact, and inhalant. Contact dermatitis can be an extremely uncomfortable condition with constant itchiness, licking and scratching can damage the skin which can lead to a secondary bacterial infection. Initially, you may notice some non-seasonal itching or your cat may be over-grooming and/or biting the affected area. Areas with less fur are commonly affected including the belly, the inside of the hind legs and the face. Over time, this can lead to hair loss and a slight pinking as the skin becomes inflamed. 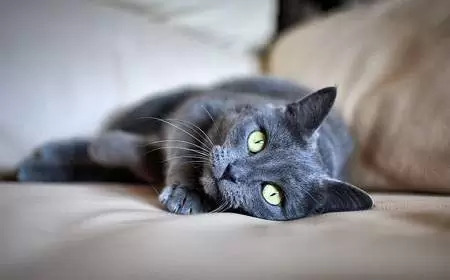 As dermatitis progresses and the cat licks, bites and scratches the area more, lesions may develop along with crusty and or oozing areas of skin which is usually when a secondary bacterial infection has taken hold. If a skin infection develops, there may be an unpleasant odour as well as oozing. Ulceration of the skin if irritant dermatitis has occurred. Are there any changes to the household? New products or chemicals you may have used recently? Have you changed your cat’s type of food? How is your cat overall, any changes in behaviour? Eating well, active as usual etc? Cytology-smear: He will take a small swab from the affected area and evaluate it under a microscope for parasites, bacteria and pus. Patch test: Various common allergens are applied to an area of skin which has been shaved. This is then examined at 24 and 48 hours. Redness and swelling are signs of a positive reaction to an allergen. Identification and elimination of the substance causing contact dermatitis is the best solution. For mild cases, over the counter antihistamines can help to control itching. Common brands include Phenergan, Periactin, Polaramine, Zadine, Claratyne and Zyrtec. Allergy symptoms are triggered by a chemical known as histamine which is a compound released by mast cells and basophils. Histamine binds to receptors on other cells triggering various responses such as dilation of blood vessels which makes them slightly leaky (hence a runny nose and eyes being a common allergy symptom in humans) as well as triggering hives and itching in some animals (and people). The purpose of this is to allow cells of the immune system into the vessels to attack invaders such as bacteria or viruses. When an allergy occurs, it is in response to a harmless substance which triggers the mast cells and basophils to release histamine, which causes the symptoms of an allergic reaction. Antihistamines work by blocking receptors, which prevents histamine from working and stopping the immune response. Below is a chart of antihistamines and the dosage for a 5 kg (8 lb) cat. Corticosteroids for cats whose contact dermatitis has become unmanageable. These medications reduce inflammation, itching, and swelling, which allow your cat’s skin gets a to recover. Antibiotics may be necessary to treat secondary bacterial infections. If the condition flares up again, further investigation will be necessary to determine what is causing the allergy. At which time a patch test will be necessary. Next articleCoughing In Cats – Why Is My Cat Coughing?